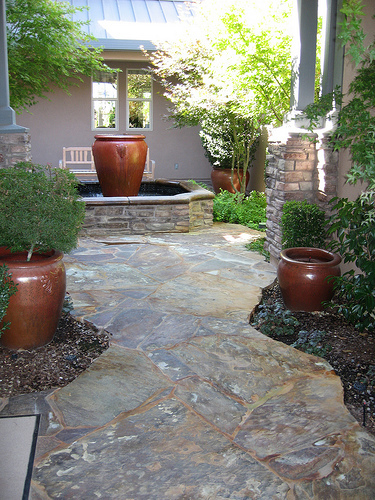 Before you start your backyard landscaping, get some ideas, look at some pictures, make some plans! 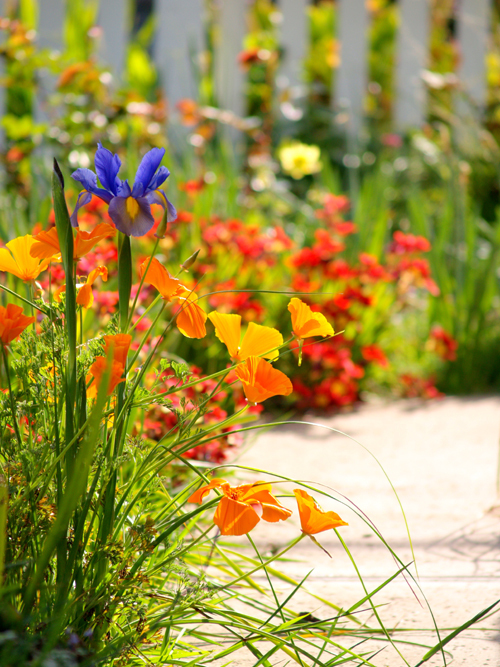 I gathered several ideas here to get you started, but don’t stop here: leaf through some magazines, watch some TV shows, and even take a stroll or a drive through your neighborhood to find the perfect backyard landscaping ideas for your home. 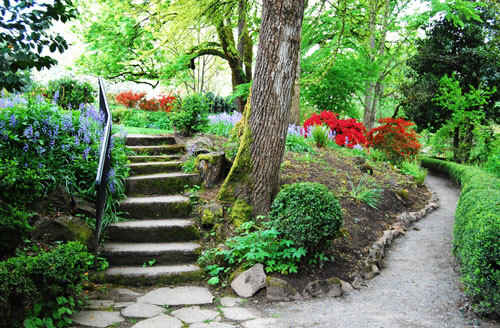 If your backyard is large enough, and especially if it has some hilly areas, creating some paths will be ideal. You can have so much fun landscaping one of these slanted backyards. You can create a beautiful flower garden that will appeal to your senses all summer long with beautiful colors and delicious smells. Check out the above fire pit by riebschlager incorporated into the backyard landscape. There is a little bit of everything: nice colored vegetation, some stone work, and even a couple of chaise lounge chairs so you can relax while cooking dinner in the backyard. Oh, I love this idea form Joe Wood! 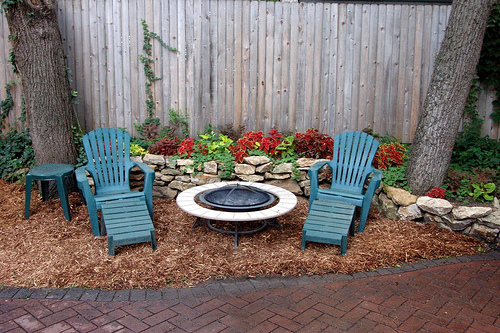 Stone pavers, a nice bench, and a backyard water fountain to create just the right ambiance. Check out this beautiful English garden! It will take time to create one like it, but so worth it! wouldn’t you love waking up in the morning and looking out the window to see this amazing scene? And how about tasking a stroll in the cool summer evening, drinking in all the beauty, peace and fragrance of a true English Garden? 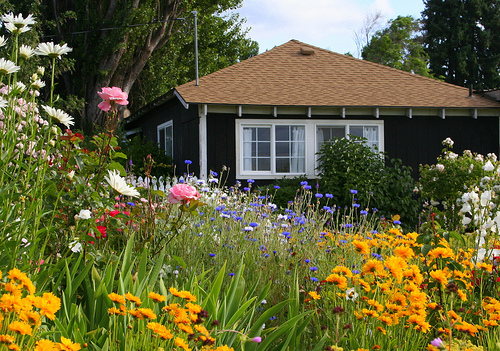 I hope you got some inspiration and ideas for your own backyard landscaping project.